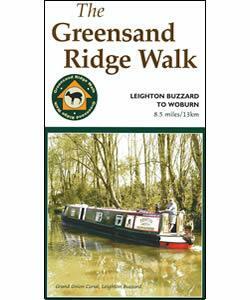 The two towns of Leighton Buzzard and Linslade were amalgamated in 1965 and sit astride the Grand Union Canal on the border between Bedfordshire and Buckinghamshire. They also share a station to the West Coast main railway line from London Euston to Birmingham, Manchester and Glasgow. Many people commute to London and have done so for many years. Leighton Buzzard has a wide Georgian high street, charming mews shops, the Waterbourne Shopping Precinct and a fine 13th century parish church. There is a street market on Tuesdays and Saturdays and a regular farmers' market where local producers sell their products direct to the consumer. In 1850 the terrace of six Italianate townhouses in Church Square was built by John Dollin Bassett. To encourage prospective buyers each house was offered for sale with a free first class railway season ticket to London for 21 years!